Brig. Gen. Charles A. Harvey Jr's. 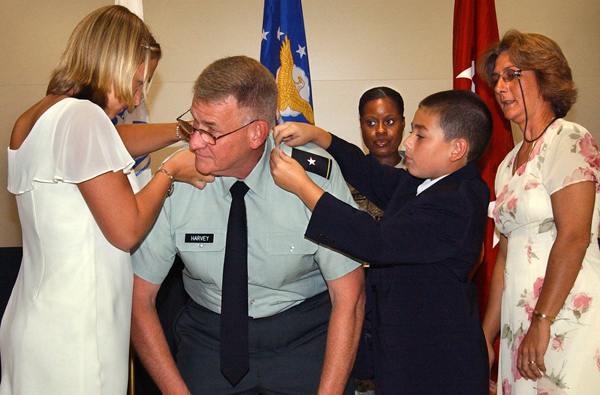 children, Cheryl (left) and Christopher (right) pin on their dad’s shoulder boards as mom, Michelle (far right) watches during the promotion ceremony on July 9 at Joint Forces Headquarters – New Jersey at Fort Dix. Harvey retired as the Assistant Chief of Staff, Operations (J-3) and will assume the role as the Assistant Adjutant General. General Harvey is also the Chairman of the New Jersey Army National Guard Diversity Committee. Photo by Sgt. 1st Class Kryn P. Westhoven, 444MPAD. The 21st Civil Support Team trained at Cherry Hill High School East July 18. The Team provided support to local authorities as part of a multi-agency exercise at the school. 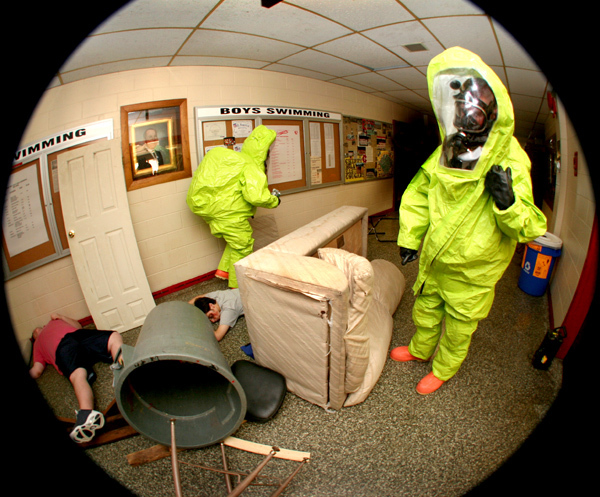 Students participated in the exercise posing as casualties. Photo by Tech. Sgt. Mark Olsen, NJDMAVA/PA. 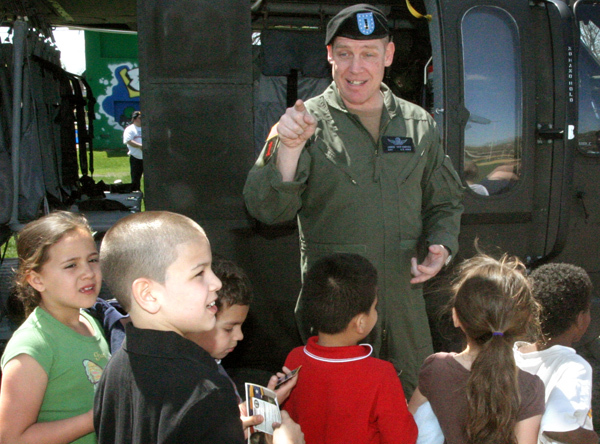 Chief Warrant Officer 4 James DenHartog, 1-150th Aviation (Air Assault) addresses a group of schoolchildren at Little Egg Harbor Elementary as part of the New Jersey National Guard Counterdrug Task Force Aviation Role Model Program. The program uses aviators as role models to talk with children about their life choices. Photo by Sgt. 1st Class Robert Stephenson, NJDMAVA/PA. 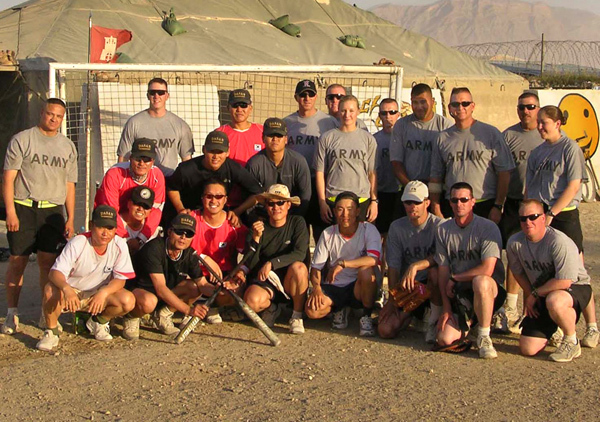 Members of the 50th Personnel Services Battalion and the 10th Soldier Support Battalion pose for a group photo with the South Korean team they play softball against on Sundays. The Soldiers of the 50th are located at multiple forward operating bases in Afghanistan and are responsible for human resource services and postal support to more than 17,000 military and civilians in Afghanistan. Photo by Chief Warrant Officer 2 Frank R. Albanese Jr., 50PSB.